Do you remember Linus Pauling? He was scientifically brilliant and he won not just one but two Nobel Prizes in his life – one for chemistry and another for opposing the use of weapons of mass destruction. Later in life, Linus Pauling became fascinated with the POWER of vitamin C, and set the foundation of what this vitamin really was capable of doing in the body. From its role in reducing inflammation and maintaining healthy immune function, to its role in cancer and the potential anti-aging effects – this powerful antioxidant is ESSENTIAL to every system in the human body. 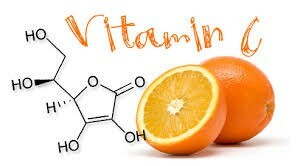 Vitamin C promotes collagen production in the body. The health of your hair, nails, skin, bone, teeth and joints directly relate to your ability to produce collagen. Collagen also promotes elasticity of skin and wrinkle prevention. are showing surprising results for helping boost the body’s immune system in fighting chronic conditions and infectious disease. when administered intravenously in high doses, and has a number of heart and cardiovascular benefits. In order for vitamin C to effectively kill cancer cells, you need to have a very high concentration of vitamin C in your blood. Because regular vitamin c pills, liquids and foods have an upper limit of bioavailability due to absorption speed and the amount that could be handled by your digestive system without causing irritation and diarrhea. This liposome becomes a vehicle for its contents that are easily digested, by-passing the previous oral supplementation limits of regular vitamin C.
Since the liposomal vitamin C is encapsulated in this way, it’s easy on the stomach, with none of the harsh acidity that regular high dose vitamin C supplements exhibit. Taken as one tablespoon of liquid per day, Liposomal C allows vitamin C to get into the blood and organs so you get all of the benefits!